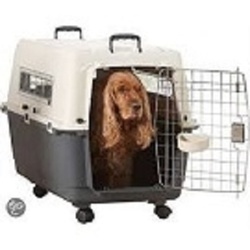 ANDES 6-SAVIC Transport &Housetraining Box. …for a small dog or cat. My dog travelled happily in this. Andes6- SAVIC Transport & Housetraing Box,90x60x68cm, Max35 Kgs.